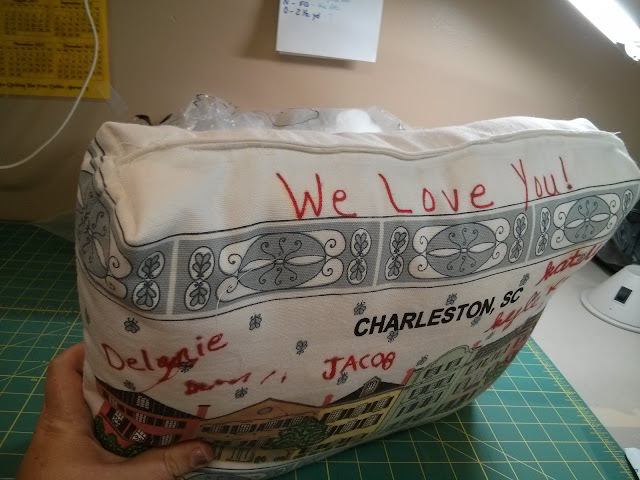 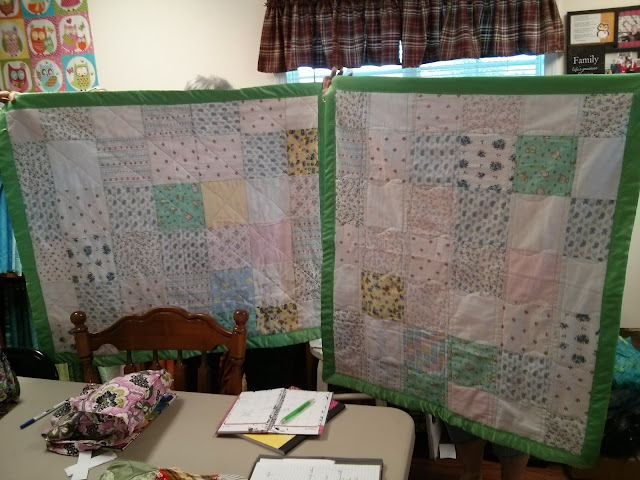 our guild provides them with quilts they can use and keep for the physical examination. 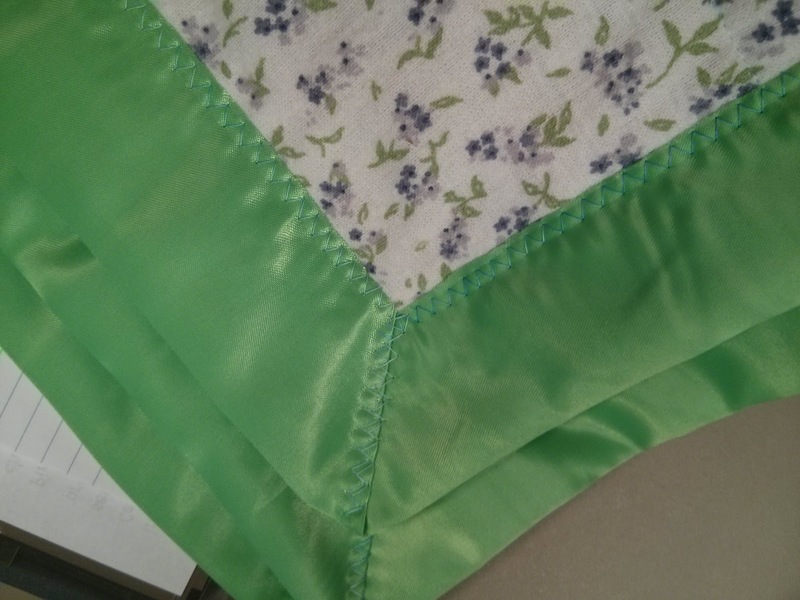 the quilts are flannel so I thought a satin binding would be a nice touch= but oh man, that stuff is a pain to work with. 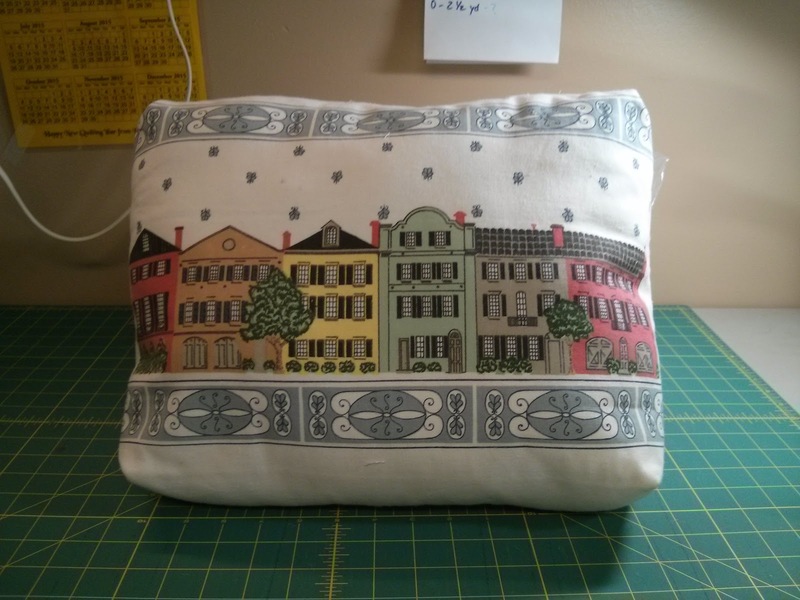 The second quilt's binding went on much easier as I got a bit smart and got out my walking foot. 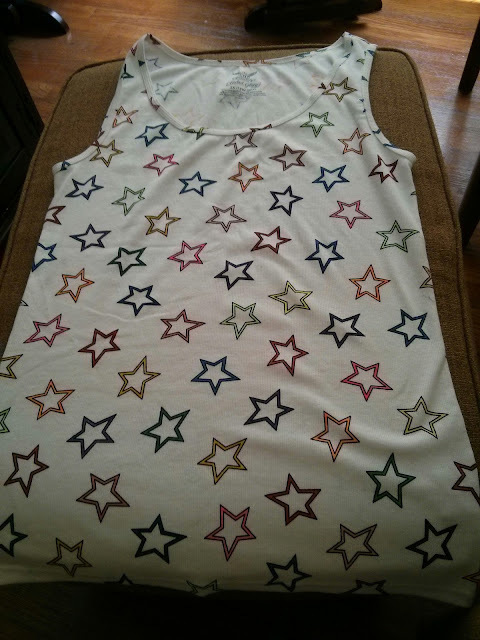 I love colouring fabric so when I saw this black and white tank top I knew I had to play with it. 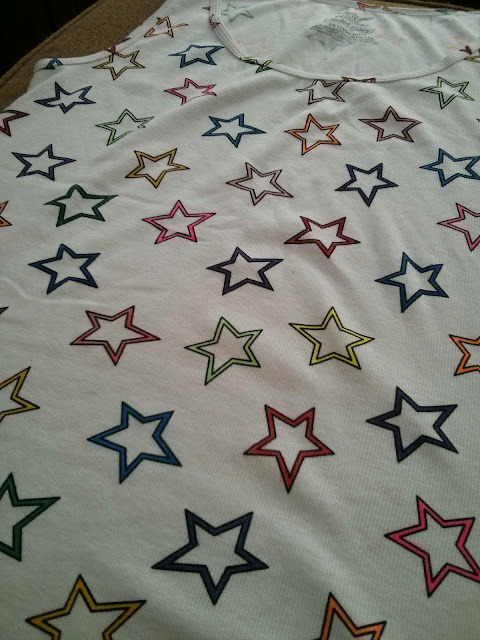 I just used fabric markers a coloured in the stars. 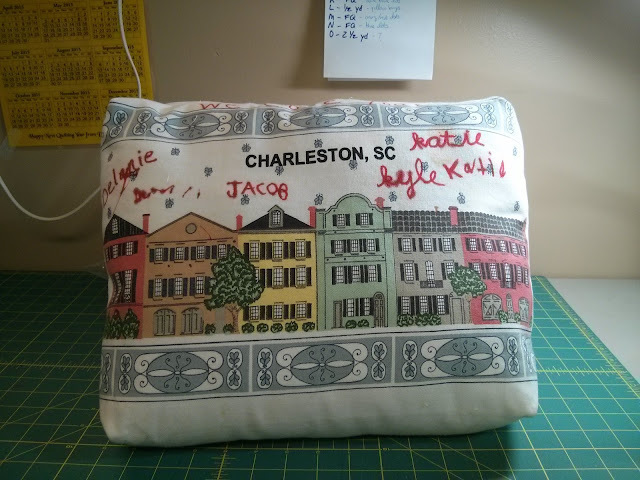 A friend brought me a tote bag that she wanted to be made into a pillow. It has sentimental past for her family member who is going through some treatment.